Take a walk around Newtown and visit the many edible sites (Map). 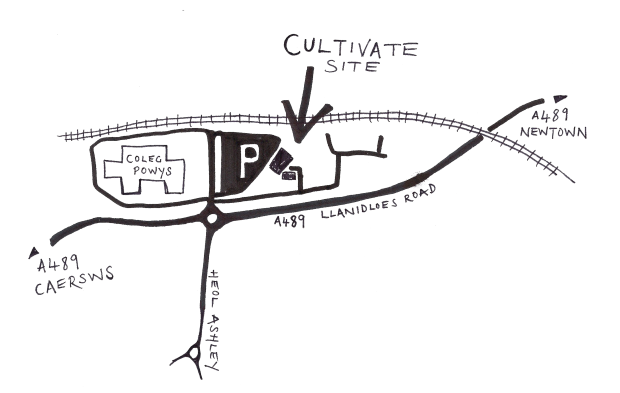 Why not get involved in community growing at Newtown community garden, next door to the college. 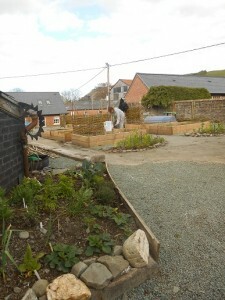 We have founded three substantial community gardens in Powys. 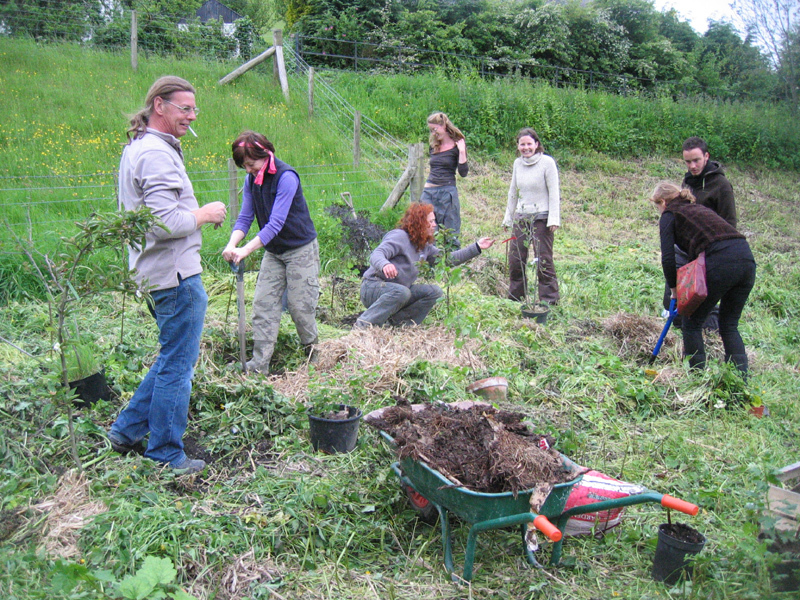 Each site has been designed through courses and consultations with local residents and are maintained by groups of volunteers. They all have very unique aspects. The Newtown Community Garden Site is a 2.5 acre growing site right in the heart of Newtown. Situated adjacent to Newtown College and Theatre Hafren the garden is surrounded by residential estates that can benefit from its work. We have regular volunteer days every Monday and Wednesday from 10 – 1pm with lunch available at 1pm on Wednesdays. The site houses horticultural demonstration and research growing areas, with cropping areas that feed into the Cultivate shop. There are micro allotments for amateur gardeners, communal spaces for the community to enjoy, such as a fire pit, round house, bbq, open lawn areas and wildlife pond. This site is open for the community to use, learn in and enjoy. Please feel free to approach us with project and ideas for using this space. We want everyone to be inspired by what we do here, and empowered to take vegetable growing and food production home with them. Read the Get Growing blog to see the development of the garden over the first three years (2012- 2015) or the Cultivate Facebook page for up dates on all our recent projects. A fantastic secret garden, right in the centre of Llanidloes. Previously used as a dumping ground, this site has been transformed into a thriving community garden complete with an outdoor cob oven, micro allotments, seating, kids play area, terraced fruit beds, espalier fruit trees and wildlife area with pond. Regular volunteer days are held on the second Thursday of the month, 11am – 1pm. 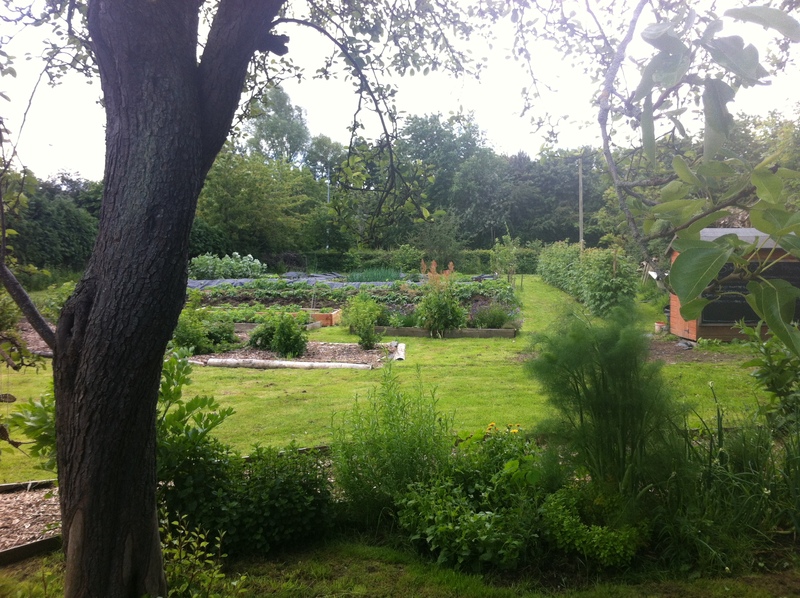 The garden is open to allotment holders and other visitors at any time. Read the Get Growing blog for the development over the first couple of years (2013-2015). Cae Bodfach is an area next to the Cain river, upstream of Llanfyllin town that is rented by the town council from the Bodfach estate as a community asset. We have created a beautiful forest garden that the whole community can benefit from. If you would like to support our community work then how about…..
To show interest please send us your contact details.